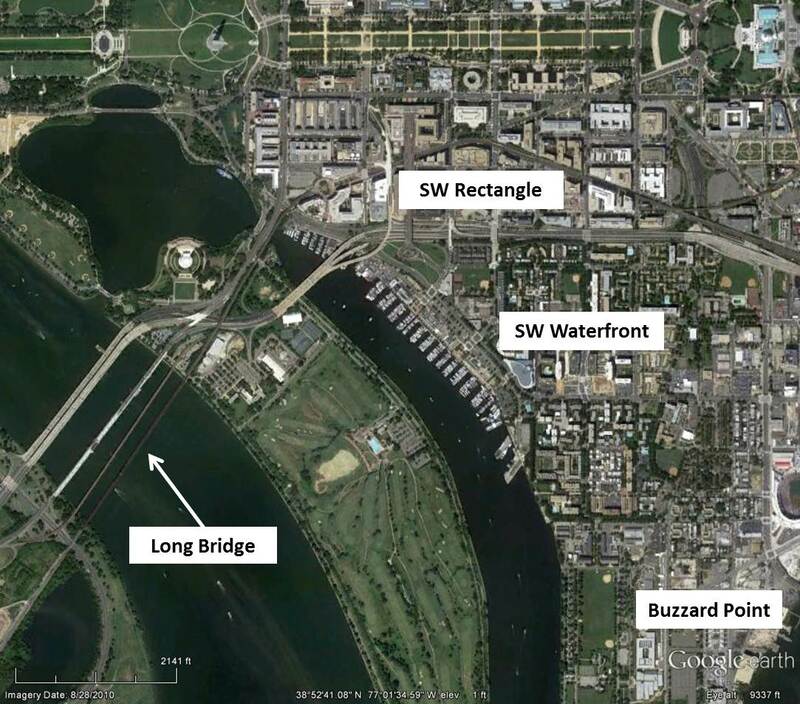 DDOT (with cooperation with the Federal Railroad Administration) is conducting a study of the Long Bridge, a two-track railroad bridge that crosses the Potomac River and carries Amtrak, VRE, and CSX trains. 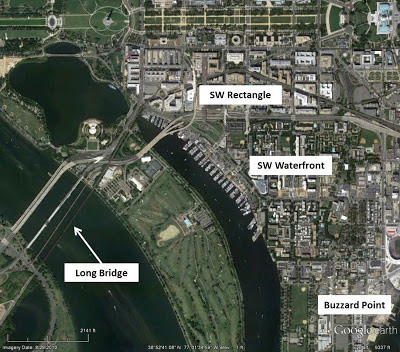 According to the project website, the purpose of this project is to complete a comprehensive study of the Long Bridge to include identification of short-term needs and long-term capacity improvements, identify and analyze alternatives that meet the short-term and long-term multi-modal needs, and identify, collect, and evaluate data in support of the recommended improvements. Multi-modal needs includes analyzing future operating requirements of high-speed and intercity passenger rail, commuter rail, transit, bike and pedestrian, and freight services. There will be a public meeting today from 4pm - 6pm at Westminster Church. The purpose of the meeting is to introduce the project to the public and receive feedback and input on access and mobility needs. 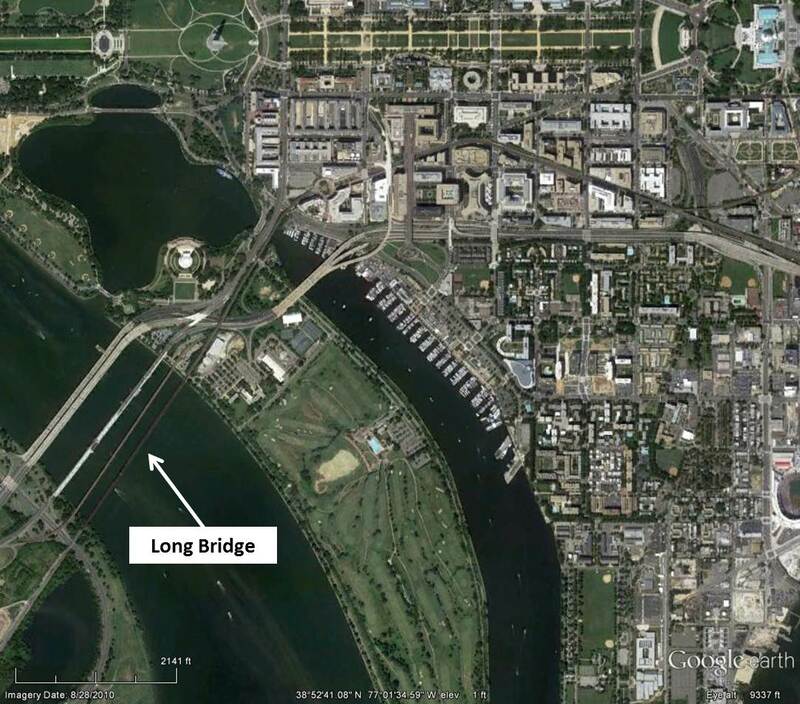 Comments can be provided at the meeting, mailed or submitted electronically to info@longbridgeproject.com. There will be more meetings before the plan is finalized in the summer of 2013. What remains unsaid is what is going on. Is the railroad giving up the bridge? Is the railroad renovating the bridge? Is this a study for study sake or is there actually something happening? What is *it* that this study is leading to. Probably turning it into a bike path. The bridge is pretty old and CSX will need to replace it eventually. When they do replace it, they may consider making it 4 tracks instead of 2 (VRE and Amtrak may want to add more frequency to their service south of DC and MARC may want to go to VA some day), add bike lanes or allow streetcars to use it, etc.